Home › Credit Report › How Often Is Credit Score Updated? How Often Is Credit Score Updated? Watching your credit score sink to new lows when you log in to Mint, Chase, or MyFICO® can lead to a sinking feeling. It’s tempting to check each day to see if your credit score has improved only to find it stubbornly not changing. So you might be wondering how often is your credit score updated and how frequently does it change? When Do Credit Card Companies Report To Credit Bureaus? Why Is My Credit Score Not Changing? Why Did My Credit Score Drop 100 Points? Credit scores are affected by information in your credit report. Depending on how often you pay off credit card debt and whether you pay your credit card balances in full, your credit report will fluctuate. It’s possible for your score to plummet 100+ points in the blink of an eye when you use the full credit extended to you. A person with a 750+ credit score could see their score crash below 650 by maxing out a credit line one month. >> What Is A Fair Credit Score? Sadly, no industry standard reporting timeline exists. But don’t fret! Your credit report is generally updated when a lender reports changes on your account to a credit bureau, such as Experian, Equifax, or TransUnion. Usually, you can expect a lender to report changes monthly but sometimes the frequency is even faster. Each credit bureau makes updates to your credit report on its own schedule so your credit score may not change on a regular timeline. For the most part, it’s reasonable to expect that the end of your billing cycles will be when credit score changes takes place. Pro Tip: Payment history affects your credit score most, so set up bill payment reminders to avoid late payment penalties. >> What Is A Good APR For A Credit Card? If you are confused because your credit score is not changing, give your lender a buzz to make sure they report your activity to credit bureaus. Lenders are not required to report your financial activity and even those that do may not report your information to all three credit bureaus. For example, it’s possible that your lender reports to TransUnion but not to Experian and Equifax. So, if you look up Experian you might find your credit score didn’t change but had you checked at TransUnion you would have seen an update. Your credit score will most likely change monthly because lenders generally report information to credit bureaus monthly. The activity reported on you will include any credit inquiries you have made as well as whether your account is in good standing or delinquent. If you are more than 30 days late paying a bill, expect penalties to kick in both from your credit card issuer and the domino effect of a lower credit score. A high balance compared to your credit line limit will hurt you too. Ideally keep your balance amount less than 30% of your credit limit. If you are keen to significantly boost your score, try to keep it utilization below 10%. The penalties escalate when your account is in default or goes into collections. To avoid those worst case situations, pay your minimum balance monthly if you can afford to do so. If you are one of the unlucky credit card users to discover your credit score has plummeted from one month to the next, you might be wondering what caused it to fall? When you max out your credit card, your credit card company will take a dim view of your actions because it is a sign that you may be struggling financially. Once you lower your credit card balance, your credit utilization percentage will be smaller and your credit score should be positively affected. Another major “gotcha” is failing to pay your bill on time. In the hustle and bustle of daily life it’s easy for a credit card payment to slip your mind but that won’t stop your credit card issuer from penalizing you. Usually, payments made later than 30 days after their due date are the ones that cause most issues. While your credit score may suffer when you pay a couple of weeks late, it generally won’t be hit as hard as when you pay more than one month late. 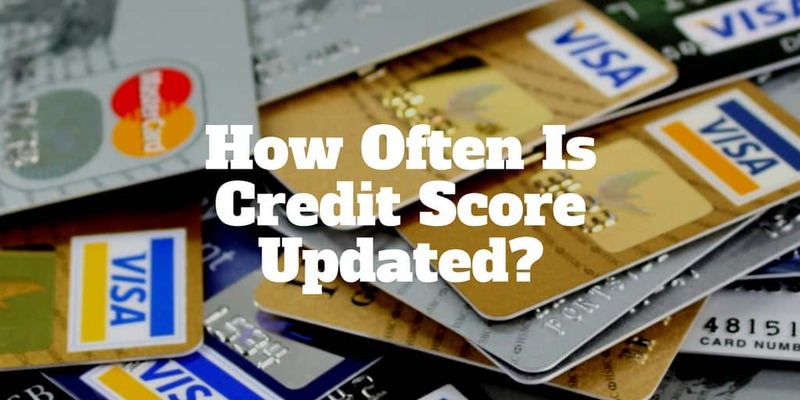 Do you know how often credit scores are updated? Let us know in the comments below what other credit card tips you have to boost creditworthiness. >> Looking For Chase Personal Loans? What Is A Fair Credit Score?